Hydrocodone addiction tends to happen in several, easy ways. People may get l484 hydrocodone to relieve intense pain. Others get it without a prescription from a friend or family member or by purchasing Hydrocodone for sale on the black market. 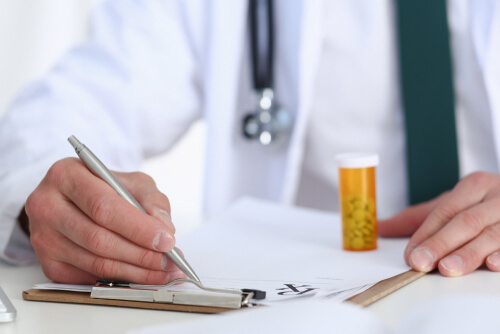 In any way, the professional hydrocodone addiction treatment is the best options for those who have noticed the warning signs in their loved ones or themselves. There are many opioid dependence therapies available, including the medically-assisted treatment and holistic practices like yoga or meditation. What are the Signs Someone Needs Hydrocodone Addiction Treatment? What are the Treatment Options for Hydrocodone Abusers? What Drugs are Used in Hydrocodone Addiction Treatment? Is it Possible to Treat Opioid Abuse at Home? How to Choose the Hydrocodone Rehab Facility? People who overdose Hydrocodone can suffer from a long list of side effects that will disrupt their lives. Some can worsen into fatal events. Users’ bodies can slow down, causing irregular, slow heartbeats and would require immediate treatment. Note that not only the pills can be abused. Patients with allergy and flu symptoms can readily access Hydrocodone chlorpheniramine for abuse too. Hydrocodone uses treatment options that include a combination of both medication-assisted therapy (MAT) and behavioral therapy. Due to schedule 2 opioid abuse affecting millions of people, specialists and governments have approved the use of medications as part of addiction treatment to help deal reduce cravings and ease the pain caused by withdrawal. Rehabilitation centers will also provide behavioral therapies after or together with MAT, which is important to secure long-term recovery. Behavioral therapies may include one on one counseling, group therapies, or more intensive programs like dialectical behavioral therapy (DBT) and cognitive behavioral therapy (CBT). The main goal of addiction treatment is to offer patients the tools they need to live a sober and productive life. Maintaining full recovery after Hydrocodone detoxification normally requires medical intervention. Standard treatment for Hydrocodone opiate addiction includes drugs that are meant to lessen the physical side effects and cravings. Maintenance drugs are likewise used to help prevent relapse after addiction treatment. Buprenorphine was approved by the Food and Drug Administration in 2002 to treat Hydrocodone addiction. It is a tablet that dissolves under the tongue and is taken three times weekly and is helpful for detox and long-term Hydrocodone addiction treatment. There are two types of Buprenorphine available in the market. One is Subutex, a pure Buprenorphine, which is used to ease withdrawal symptoms. It interacts with the same brain receptors affected by Hydrocodone, producing the same effect, making it less attractive for addiction. Suboxone is yet another popular type. It contains a mixture of Buprenorphine and Naloxone. Aside from easing withdrawal symptoms, Naloxone helps block Hydrocodone effects. It reverses the effects of opioid abuse. Naltrexone is an opioid-blocking drug used to help maintain recovery after addiction treatment. This is normally part of Hydrocodone addiction treatment at home. By blocking opioid receptors, this drug prevents patients from feeling euphoric. This must help addicts learn how to taper off Hydrocodone. There are some things in life that stubbornness and a do-it-yourself treatment and mentality can just cause more trouble. When it comes to Hydrocodone abuse treatment, stubbornness and self-medication or treatment can cost a life. Experimenting with medications to ease withdrawal symptoms after addiction treatment can cause toxicity. 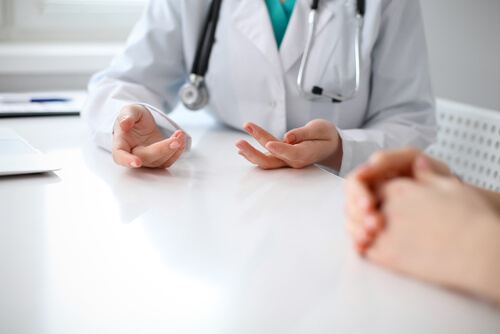 Medical specialists have the right knowledge and skills about which kind of addiction treatment and drug interactions are safe for the patient. Opioids may vary in time-release. For example, Oxycontin vs Hydrocodone are opioids prone to abuse, but Oxycontin’s release is gradual, making its effects last for long hours as compared to Hydrocodone with an immediate-release. There are several options for how to get hydrocodone out of your system. The options may vary from one center to another across countries. The type of Hydrocodone treatment a patient would need will solely depend on a complete evaluation from a doctor. But regardless of the diagnosis, enrolling in a rehab program that has progressive levels of care can be very helpful. Choose a facility that has complete detox programs with 24-hour supervision. One needs full continuum care from medical and clinical staff to give a solid foundation for long-term sobriety. This cannot be achieved easily at home. Inpatient rehab is considered to be the most intensive type of addiction treatment, especially during the early phases of recovery, and can last for months. Aside from detox programs, choose a facility that offers to counsel with an addiction expert. It is very important for a patient to know the roots of abuse to treat it effectively, and mental problems are usually intertwined with drug addiction. Does the facility have other recovering patients? Group therapy can also be helpful in the treatment for drug addiction. This will give you a good support network who can empathize with your recovery journey and give advice. If you are having difficulty treating Hydrocodone addiction and would want to receive more information about it, you may call our 24-hour hotline at (888)-459-5511 now to speak with a knowledgeable representative.